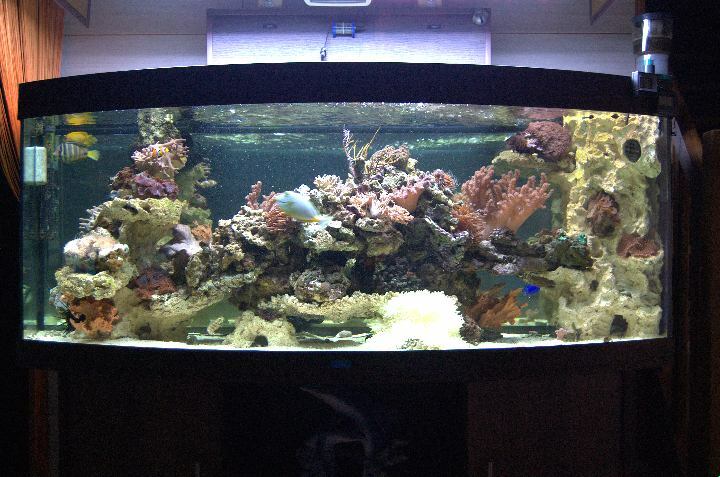 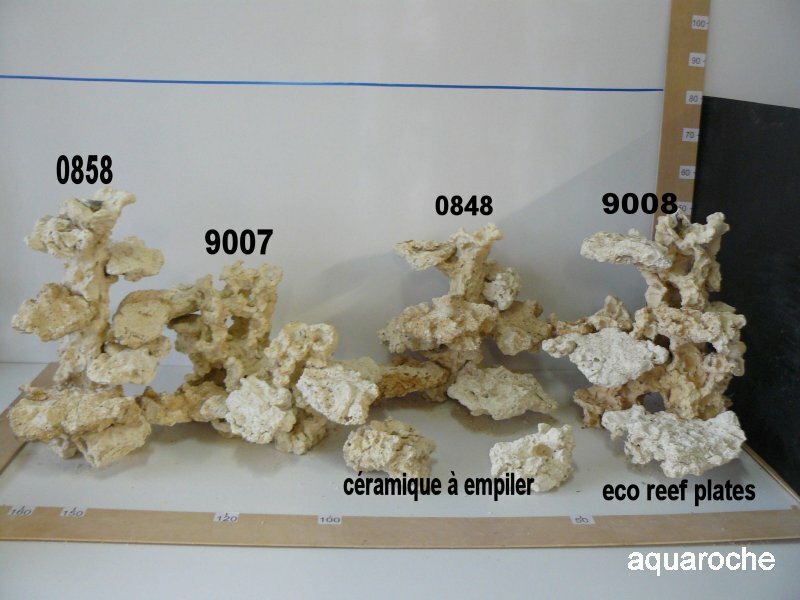 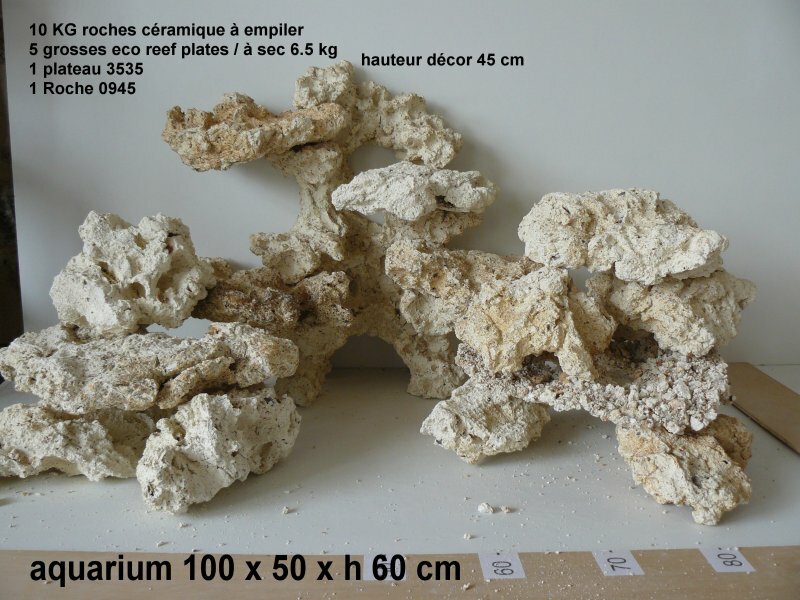 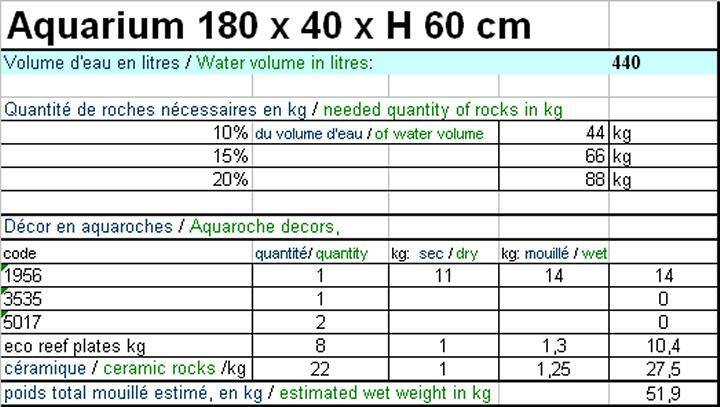 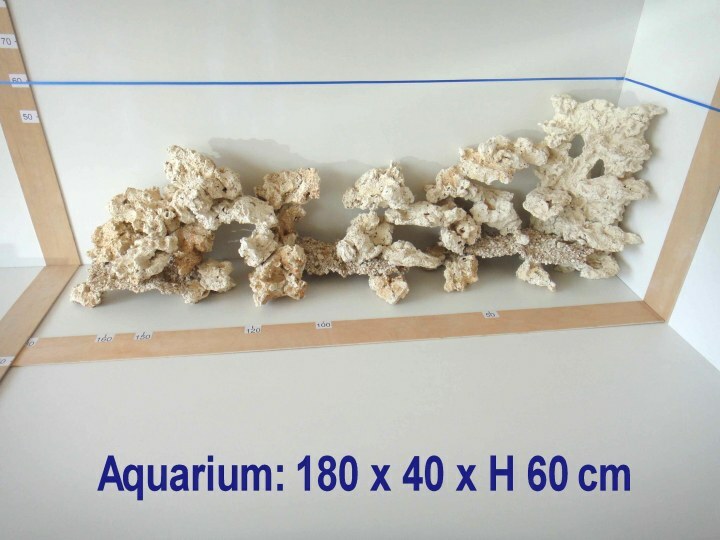 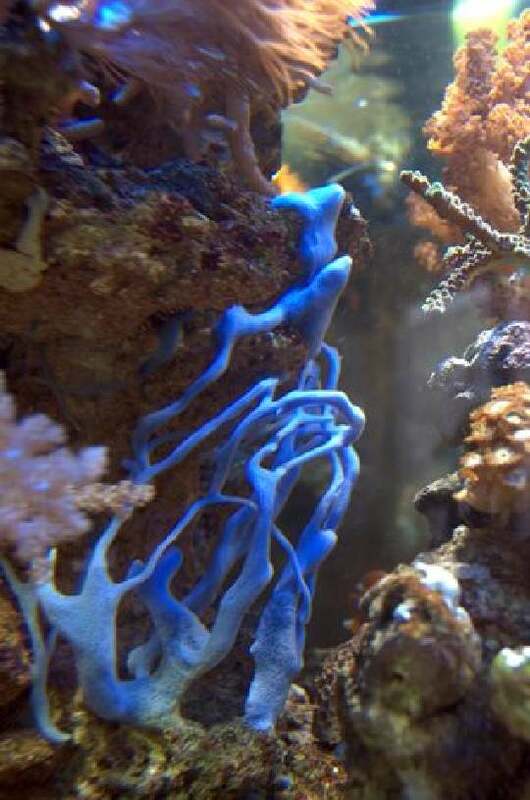 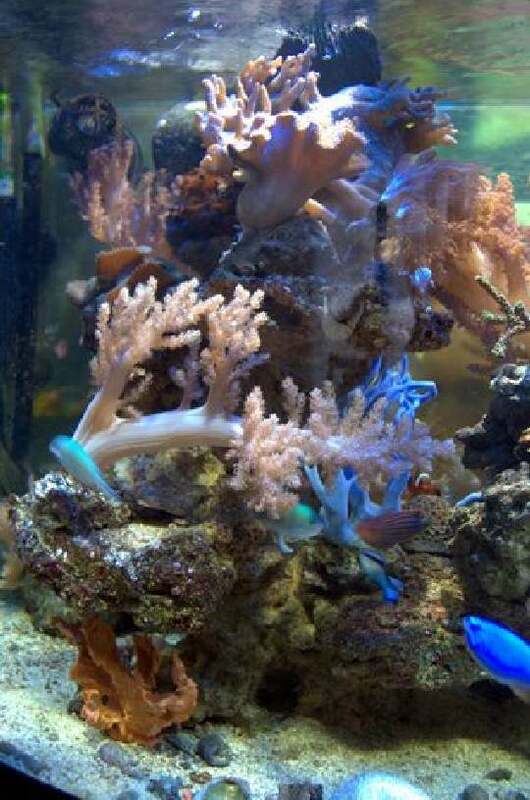 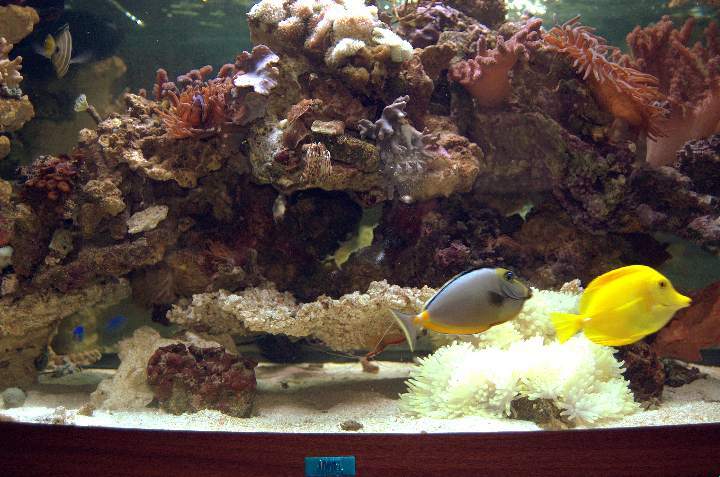 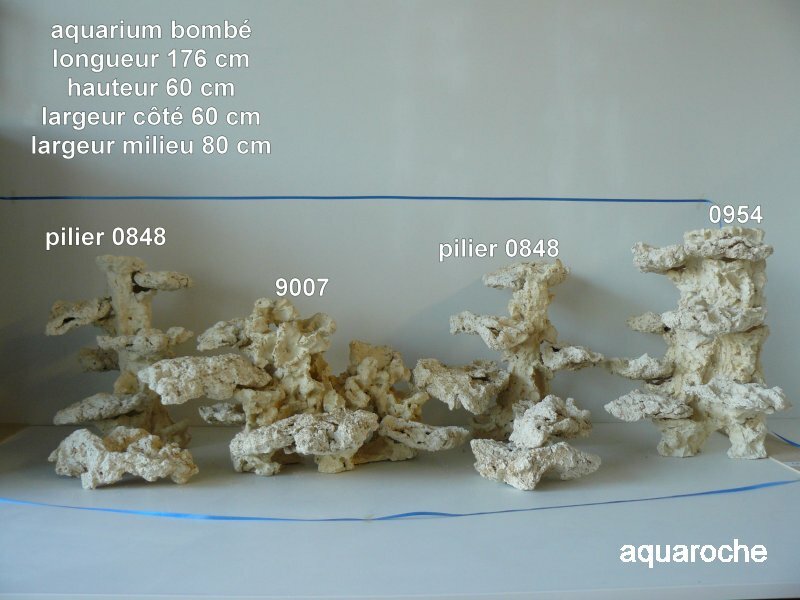 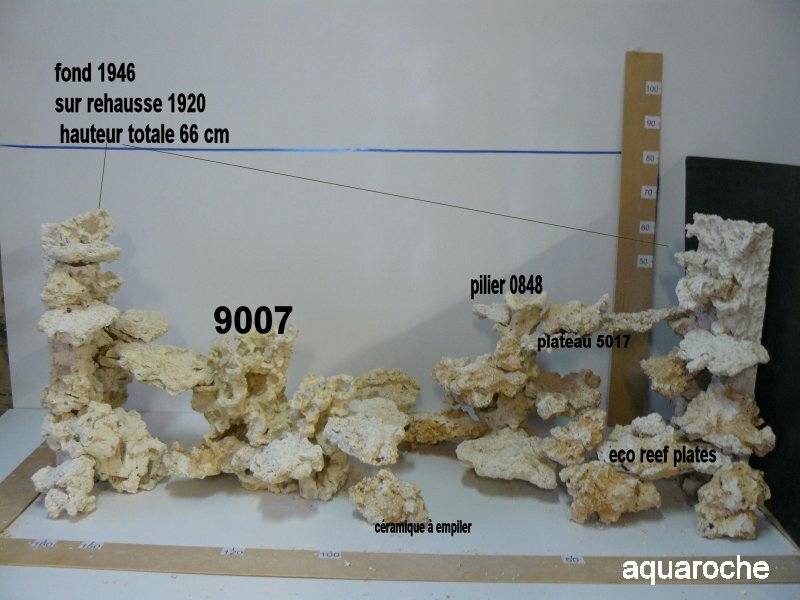 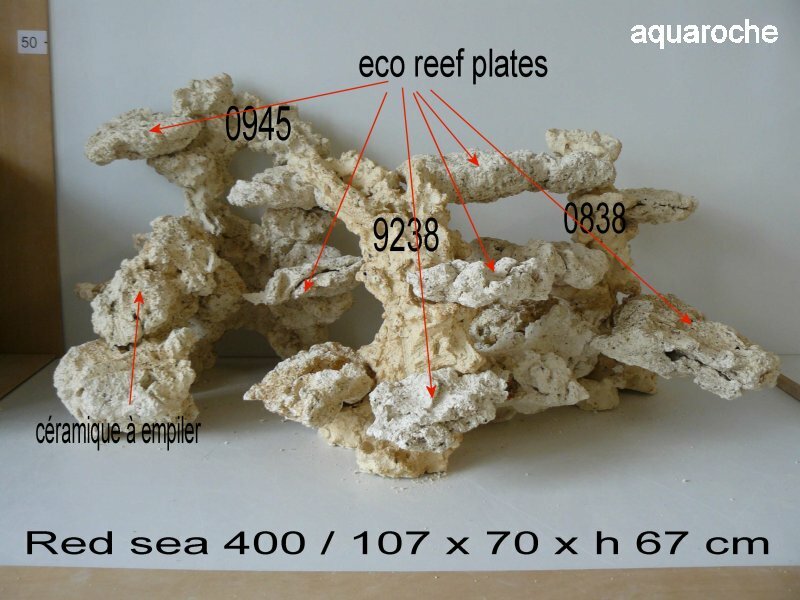 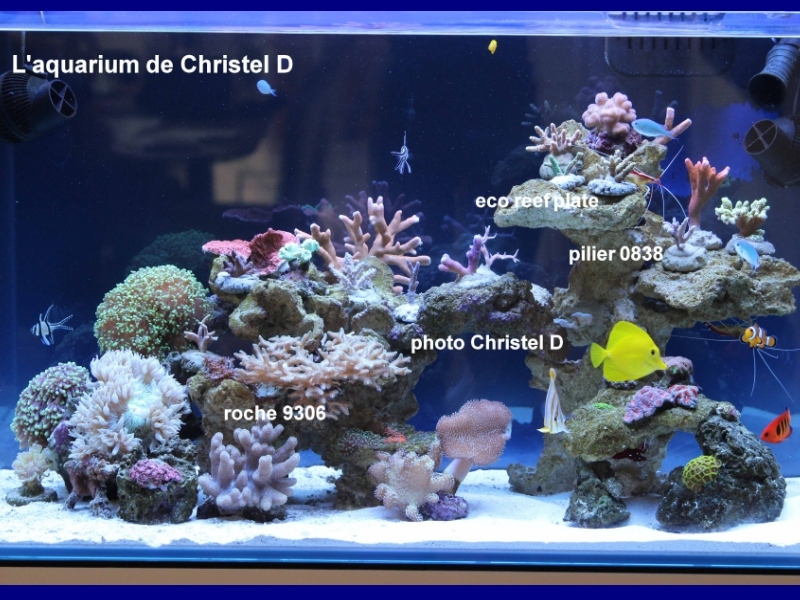 After 3 years with a smaller reef aquarium, JC changed for a Juwel aquarium (Length: 1.5 m , height: 62 cm , (width: : 60 cm in the middle and 40 cm on sides). 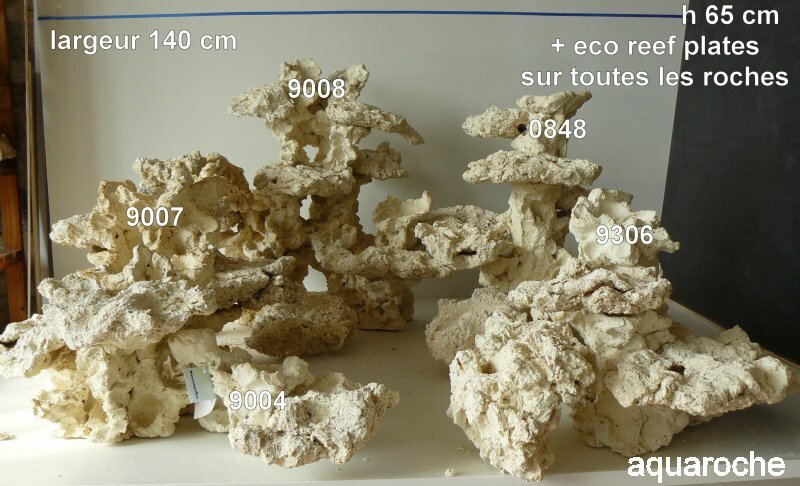 Most live rocks of old aquarium have been used again in the new one. 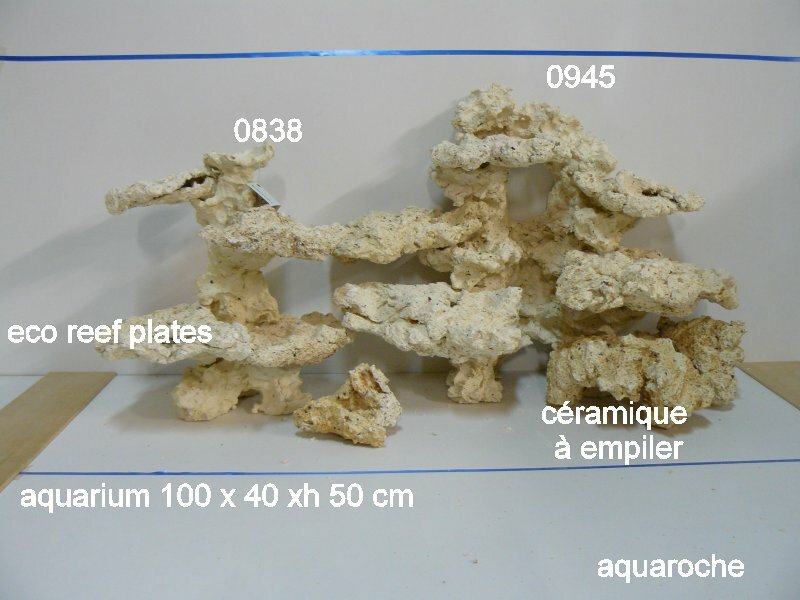 All additional parts of décor are aquaroche elements (setting up in 2 stages). 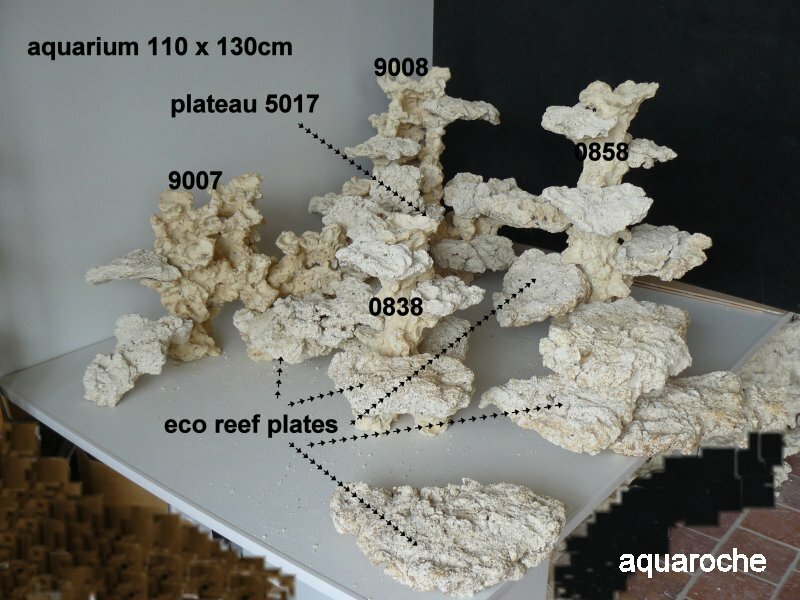 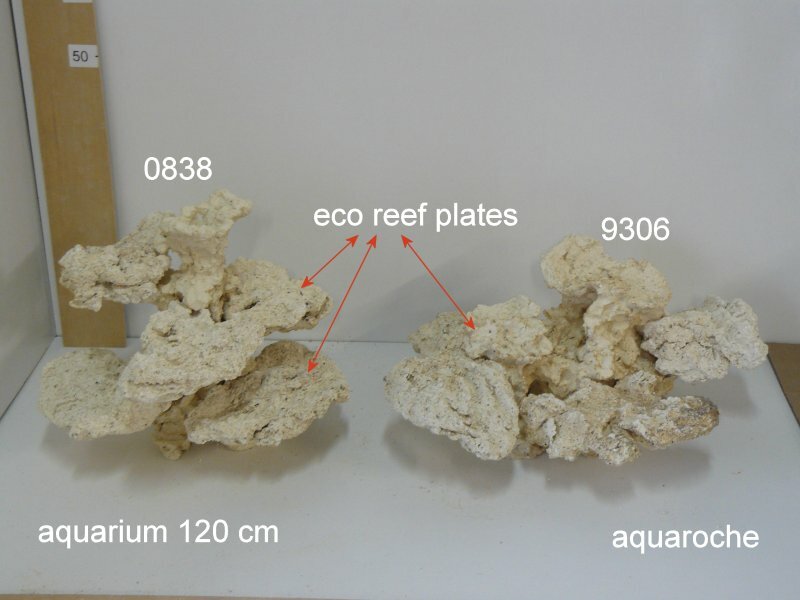 At the beginning, he set up, on the left side, 1 pillar (code 0848) with eco reef plates. 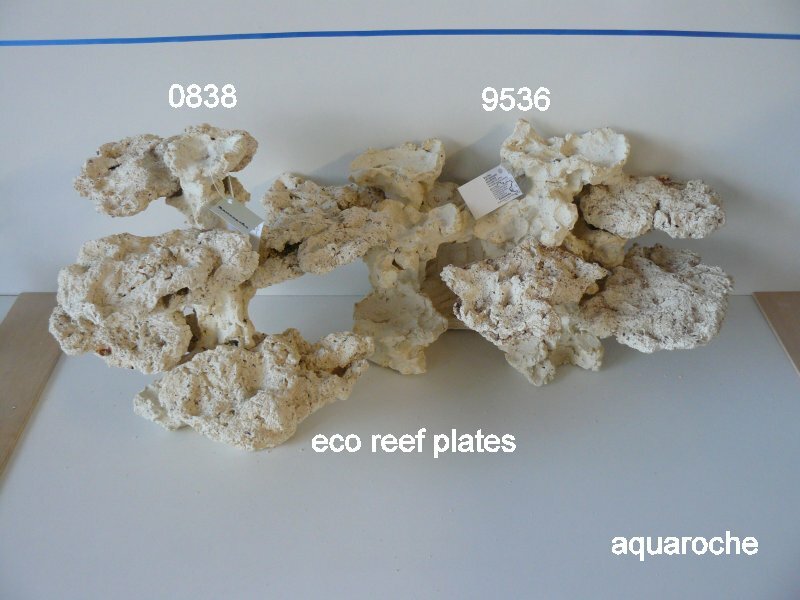 On the right, a reef system column (code 0954) hides the block and tube at the rear. 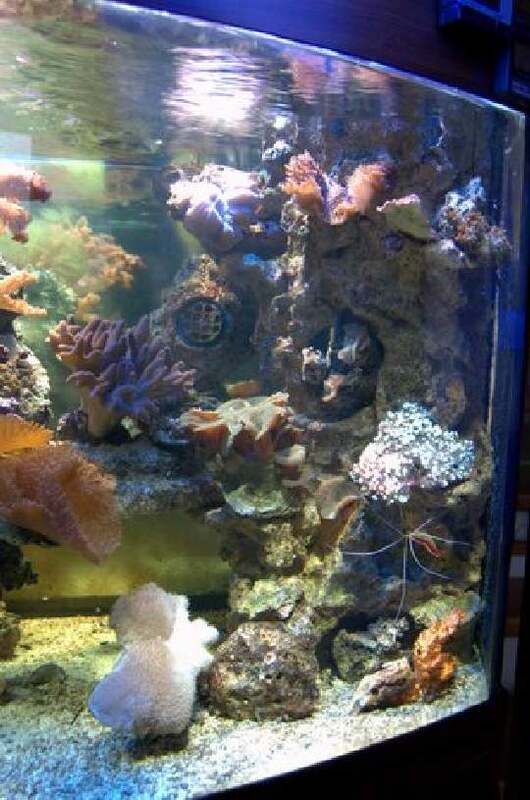 On the top, near the front glass, a Tunze nano stream rock hides the pump. 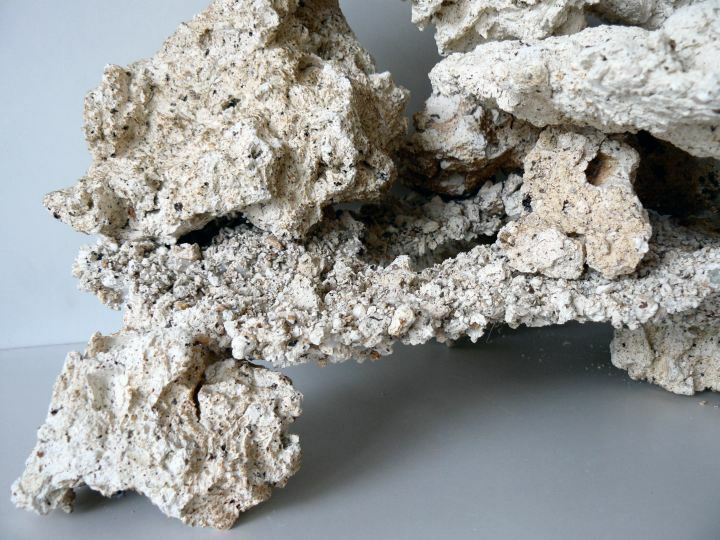 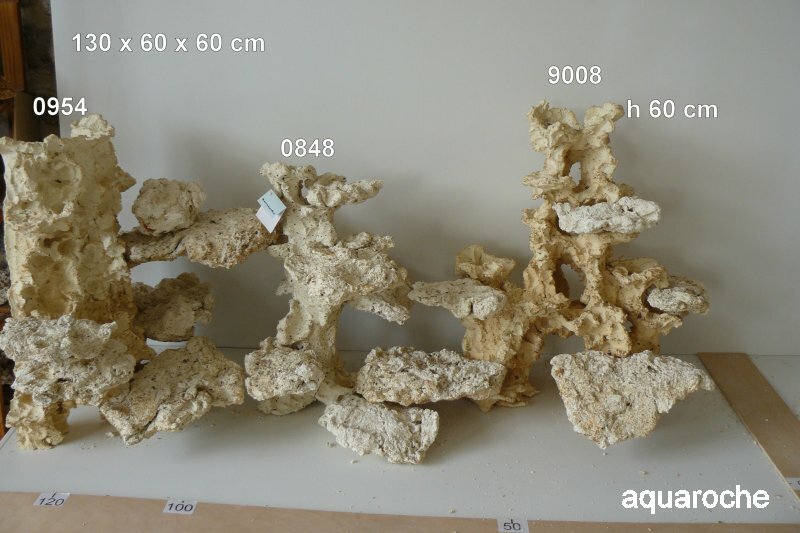 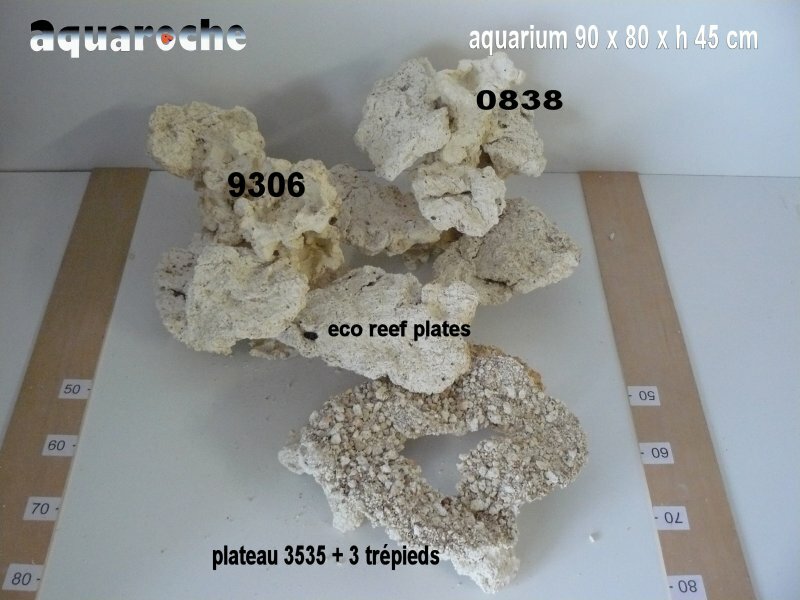 Pictures have been taken one month after introduction of aquaroche elements. 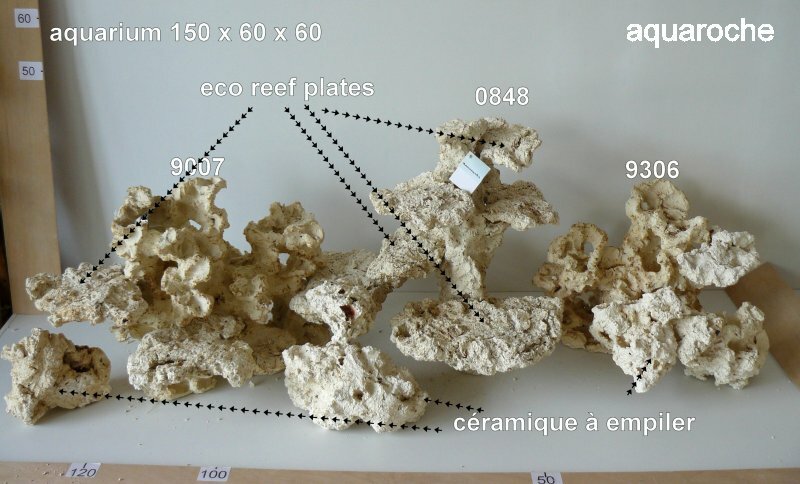 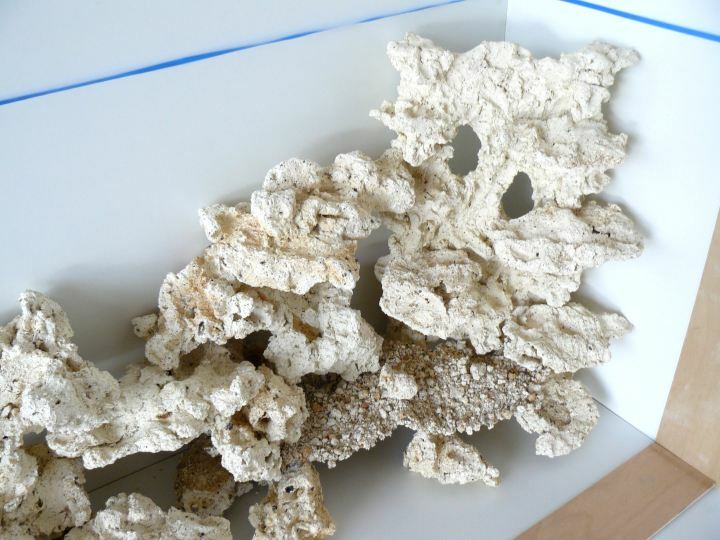 This project was made for a reef aquarium, with specific requests: hide accessories in a corner and use mainly ceramic rocks. 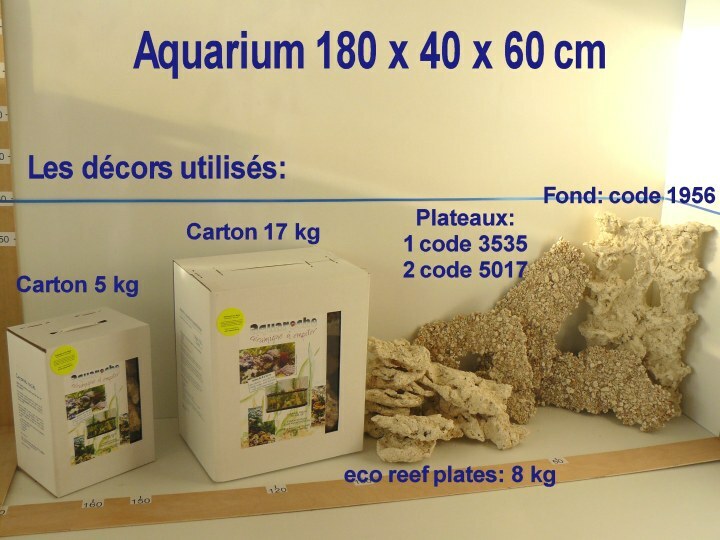 Particularity is that width is very narrow: 40 cm, which means: put the decor against the back side with a few foregrounds to give a depth effect.